We dream of financial resources that will allow us to help students who would otherwise not be able to attend GCA. 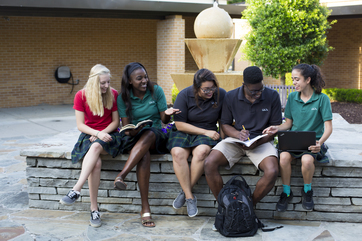 Approximately 65 percent of students need financial aid in order to attend GCA. GCA seeks to develop a scholarship program that will provide financial resources for generations to come. Your gifts for student assistance assure young people of God’s ability to provide the resources necessary for them to pursue their dreams! One life transformed by attending GCA makes an immeasurable impact on individuals, families, and the church.